Well summer is finally upon us and this season is the perfect time to practice some self-care as everything slows down a bit. Self-care is described by the American Psychological Association as as providing adequate attention to one’s own physical and psychological wellness (Beauchamp & Childress, 2001) and it is important because we must take care of ourselves in order to be healthy enough- both mentally and physically- in order to enjoy life to the fullest and in order to be our best selves with family, friends, students, and clients. After all, there is a reason that adults are advised on every airplane flight to put the oxygen masks on themselves first and on their children second! We can’t do much good in helping our child, who already has the oxygen mask on, if we are passed out because we didn’t get the oxygen masks on ourselves first! 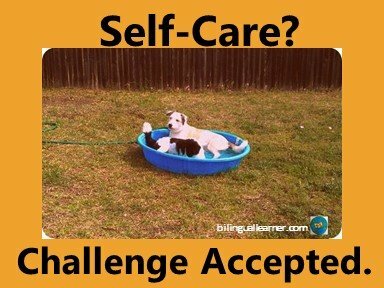 So, in the spirit of taking care of ourselves first, here are five tried and true ways to practice effective and enjoyable self-care! What do you love to do? Is it reading in bed all day, going for a spa day, binging on Netflix binging on the couch, lunch out at your favorite restaurant? Whatever it is, schedule it in your calendar on a weekly basis during summer! Go get your planner or smartphone right now and make that date night reservation or book those movie matinee tickets right now so life doesn’t get in the way of your weekly happy day! And if you are a parent to young children, as so many of us are, this probably means scheduling your child care at the same time! Or possibly coordinating your happy day with your child’s activity if you don’t have to be a part of it. If you are one of the lucky ones whose idea of a happy day involves your kids, more power to you for scheduling that beach mommy-daughter date. But for the rest of us where happy equals alone time- book your sitter or call that family member who owes you a favor! I say take one day a week (can be the same day as your Happy Day), or if that’s too much, at least one day a month and do nothing! Remind yourself throughout the day as you start to clean or make someone a meal or take a peak at your TO DO list, that today is your DO NOTHING day. And you can spend it however you want- lie on the couch with your cat and some ice cream, go window shopping, order a pizza and eat it in bed, meander around your neighborhood, go visit that friend you’ve been wanting to catchup with- whatever you want! PS-This is the day that it’s ok to call in the babysitter. Or just encourage your kid to do nothing alongside you- let them max out on the ipad, each pizza for breakfast, lunch, and dinner, or hangout on their own in the pack and play! So obviously this post was more about fun self-care than wellness self-care, but that’s what summer is all about, right? 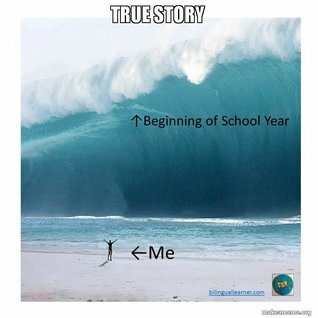 Either way, be sure to soak up all the fun and relaxing moments you can, since we all know what the Back-to-School tsunami brings in September for those of us teaching or counseling in schools. Happy Summer! That brings me to the end of this month’s post. I’d love to hear your ideas on how you take care of yourselves, so leave a comment below! In the meantime, you can find out about my latest promotions, free stuff, or counseling adventures by following me on my School Counselor Stephanie Instagram, Facebook, or Pinterest pages!